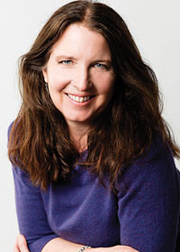 Saratoga: Teri Dunn Chace "The Anxious Gardener's Book of Answers"
Join garden and plant expert Teri Dunn Chace for a night of gardening advice and suggestions, as she presents her book The Anxious Gardener's Book of Answers. The book's 24 chapters tackle every kind of gardening disaster, whether it has to do with plants, tools and techniques, or general care and maintenance. Teri Dunn is currently considered a "single author." If one or more works are by a distinct, homonymous authors, go ahead and split the author. Teri Dunn is composed of 4 names. You can examine and separate out names.